Photo Credit: @SpursOfficial Instagram. I mean, who doesn't want to look at this picture? The March International break has come and gone and we were rewarded with two victories over Bolivia and Colombia. Let’s go through the roster of players called up to see who’s trending up and down as we look towards the June international break. Let’s start by talking a little about our manager Paulo Bento and the tactical changes he made. 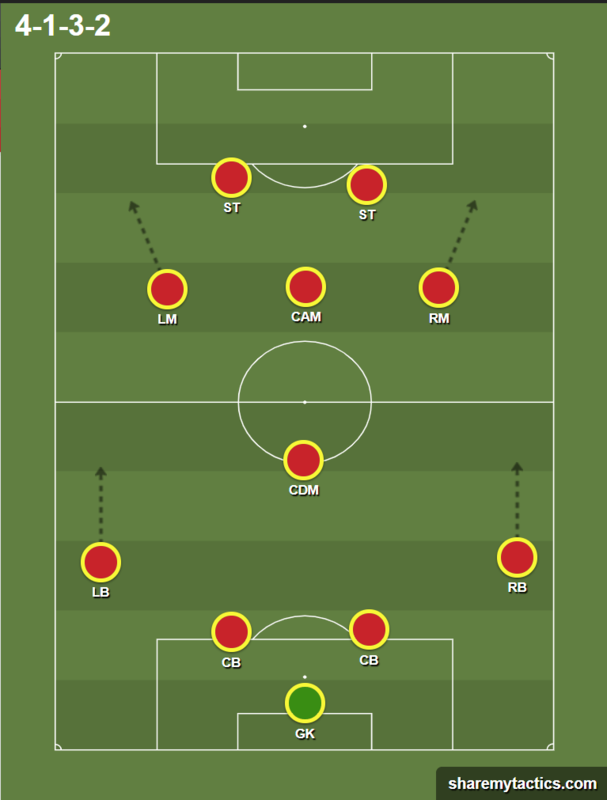 Since the unsuccessful Asian Cup campaign revolved around using Son as the central AM in a 4-2-3-1 formation, Bento used a new 4-1-3-2 formation that clearly showed promise if built upon in future matches. On the negative side for Bento, he’s still sticking to competitive match rules and using 3 substitutions in friendly matches. At this point, it’s been quite a few friendly breaks where this has been the practice so as fans we’re going to have to take the good with the bad. At the moment, Bento has picked the three best goalkeepers Korea has at the senior level. Kim Seung-gyu played well in the Bolivia match, keeping a clean sheet before he left the camp with enteritis. It seems for now that his ball distribution skills are valued by Bento’s staff and he most likely is viewed as the No. 1 goalkeeper. The No. 2 is the fan favorite, Jo Hyeon-woo, who performed incredibly well to stave off Colombia in the second half and preserve the victory. Basically, these two keepers are really close and if Jo is not the No. 1 now, that’s certainly not set in stone. Steve Han posted a great thread with a statistical comparison of the two keepers here. The numbers are close so the battle for playing time is going to be fierce. The new face is Gu Sung-yun, and avid watchers of the J League (like Dan Orlowitz and Takeuchi) always speak really highly of Gu as the best Korean keeper in the J League. Hopefully he continues to get selected for the national team and shows Bento what he can do! This is where I feel like Bento could do a little bit more scouting of the K League to find better options. It just feels like he has settled on the veteran players well-liked at the KFA. The Lee Yong, Choi Chul-soon, and Hong Chuls of K League fullbacks. I’m not including Kim Moonhwan in that for a reason. So Lee Yong, Choi Chul-soon, and Hong Chul sort of represent the old, stale Korean fullback style that isn’t very successful or really what a fullback now represents. They are solid defensively (to varying degrees) but are not the sort of energetic fullbacks that actively contribute to the attack like a modern team would want. Hong Chul and Lee Yong especially are players that provide width but mostly recycle the same play every time they get wide: a low or lofted cross towards a striker. We all know how frustratingly inaccurate both of those players can be even if the goals they do create on occasion are great (the cross to Chungy from Hong Chul was delicious and needed). Kim Moonhwan? Well, he is certainly a more capable offensive player and one who does his fair share on defense as well. Hopefully he nails down the right back spot and continues to improve his game because he plays the position with the variety and danger it needs in attack. In order to get away from the safe and boring fullbacks, Bento really needs to look towards other options. Kim Jinya was the left back at the successful Asian Games campaign and brings a very similar style of play to Kim Moonhwan. For a back-up to Kim Moonhwan, some options to consider are Kim Chang-soo of Ulsan Hyundai, Yoon Jong-gyu from FC Seoul, and Lee You-hyeon from Jeonnam Dragons. Trending Down: Boring and safe fullbacks. Right now, Bento has what could be considered as a strong pool of centerbacks to choose from. Let’s be honest, past managers cannot say the same. So let’s start with “The Beast” Kim Min-jae. He’s tall, possesses solid recovery speed, has comfort with the ball at his feet, and will be an aerial threat on set pieces for years to come. He’s off to a good start in the CSL and ACL with Beijing Guoan and should continue to be a rock at the back for Bento. His partner, Kim Younggwon, has escaped from a bad situation in the CSL to join Hwang Ui-jo’s team Gamba Osaka. Behind them on the depth chart are Kwon Kyungwon, Jung Seung-hyun, and Park Ji-soo. I would say all three are serviceable centerbacks that will remain in the fold unless they suffer a significant drop in form at the club level. Kwon Kyungwon will need to do military duty in the next few years so he will certainly have to work the hardest to maintain his place. On the Radar: He’s a veteran player but it would be interesting to see if Kim Kee-hee would be called up again now that he has secured a starting role with the Seattle Sounders. In terms of younger players, Hwang Hyun-soo from FC Seoul has been enjoying a very bright start to the K League season. This is the position where I have some tough news to bring. Unfortunately, it looks as though we are going to be seeing more of Jung Wooyoung and Ju Sejong (sad hype train….). Basically, this was where Ki Sung-yeung would have played before international retirement. For now, Bento has called up the future CDM Kim Jung-min but determined that he is not quite ready for the starting role. Looking at Kim’s minutes at FC Liefering, Red Bull Salzburg’s feeder club in the Austrian second tier, it’s hard to fault Bento’s judgement. Kim plays here and there but has yet to nail down a starting role or impress enough to get called up to the Austrian first division. Most likely, Kim Jung-min will eventually take up the role but for now we’re going to get more of safe and unimpressive Jung and Ju. On the Radar: Kim Hak-bum’s U23 Olympic qualification team is worth a look because Han Chan-hee is still earning call-ups even though Jeonnam were relegated last year. He could also inhabit the CDM role and it will be interesting to see how he does next year as he attempts to help Korea qualify for the Tokyo Olympics. This role is currently taken up by Vancouver’s Hwang Inbeom. Bento defines Hwang as the attacking midfielder that does best in a central role. It will be interesting to see how long that Bento sticks with this conclusion now that both Paik Seung-ho and Lee Kang-in have been called up to the senior team. This seems to be the positional battle where these three young players will have to continue to be working every day in national team training to impress Bento. If Hwang is not doing as well in training or back in MLS, I would not be surprised for the La Liga prospects to take his starting spot. On the Radar: Han Seung-gyu. If the K League’s Rookie of the Year can continue to play well now that he’s transferred to Jeonbuk Hyundai, he should earn a chance to represent Korea at the Olympics and earn a military exemption. These are the attacking players that will get out wide or cut inside, depending on the situation. From March, we got to see the return from injury of Kwon Changhoon. Dijon are currently marred in a relegation battle so we will see what happens to Kwon’s club situation, but he looked good against Bolivia. He has really good dribbling skills and always provides a bit of a spark. We also got to see a really interesting role for Lee Chung-yong: super sub. As long as he’s willing to play for the national team, he could help off the bench with some attacking spark. The winning header was a mixture of fresh legs off the bench and veteran know-how. Lee Seung-woo and Lee Jae-sung are two wingers currently involved in promotion campaigns at the club level and hopefully can drive their teams to the top of Serie B and the 2.Bundesliga before the end of the season. Lee Seung-woo had a good sub appearance against Bolivia and Lee Jae-sung scored a solid winner by cutting inside from the right and letting rip. For me, the two best at the moment are probably Kwon and Lee Jae-sung, but eventually positional shifts should open up a space for Lee Seung-woo as well. I’ll get to that in a second. On the Radar: Jeon Se-jin and Kim Dae-won. These two wingers are doing well in the K League at the moment and look set to also play a prominent part in the Olympic campaign. Eventually, they should be brought into the senior national team fold as well. SONNNNYYY! Yes, Paulo Bento’s new formation should suit Son Heung-min better than the role given to him at the Asian Cup. Sonny is a bona fide superstar now and just needs to find a consistent strike partner with the national team. Right now, Bento’s two chosen strikers are Ji Dong-won and Hwang Ui-jo. Ji is an all-around striker that works hard for the team while Hwang Ui-jo is a bit more of a goal poacher. They’re both a bit flawed though. Ji is really injury-prone as he missed the Colombia match after picking up a knock. Hwang on the other hand is a bit of a hit or miss player. He can pour in goals and make the right passing decisions, like his assist to Son against Colombia. In other matches though, he can dribble too much, get into trouble and lose the ball, or just misfire on ambitious shot attempts. For me, both can get the job and partner with Sonny but will also need to continue to improve their games as they form a striking tandem up top. If they don’t, they’re going to get dropped. In fact, maybe Kwon Chang-hoon will be a better option than either of those guys. Think about it. On the Radar: Jung Woo-young (FC Bayern Munich). This is the Jung Woo-young that everyone is excited about. The one who has already made a sub appearance in the Champions League. The one that Bayern staff are going to shop around the Bundesliga this summer because the interest is there to make a tidy profit or a loan. If we’re lucky, also the one that becomes the best partner for Son Heung-min. Let me know your thoughts in the comments. Is there anyone I missed that you’d like to hear more about? Hwang Hee Chan? Have injuries lowered his stock with Bento? I hope not. If he gets healthy and gets some playing time at Hamburg before the end of the season I’m sure he’ll be back for the June friendlies. Any kleague viewers have any opinions of Lee ChangMin? Every time I watch jeju play, he’s got nasty range at goal. And what are your thoughts on calling up the Wookie for EAFF? Lee Chang-min is a solid midfielder and he certainly likes to have a pop from distance. However, Tim’s K League data analysis piece plotted out how inaccurate Lee Chang-min is with his shots: http://www.taegukwarriors.com/k-league-data-analysis/. Lee would need to improve a lot of his game to earn a look from Bento. I do not think Wookie will get called up for the EAFF. Even if the squads are restricted to just Asian-based players, Bento will pick forwards that fit his style of pace and intelligent movement. Bento will most likely call in forwards that are going to the AFC Olympic qualifying tournament in Jan. 2020 to keep them fit. I’d like to see Suk Hyun Jun called up again. I’m not so sure about Suk Hyun-jun to be honest. He rarely starts at Stade de Reims and has been inconsistent for the KNT. I think he’s a solid pro but I’m not convinced he’s better than Hwang Ui-jo or Ji Dong-won. Excited for the June friendlies! Iran and Australia will be great tests for Korea and Bento. Oh it’s no problem Elliot, it’s what I do! looking forward to more posts Michael! Does anyone have any information on the June friendlies? Australia is planning on sending their B team, maybe a good opportunity to see Lee Kangin, Seung ho, and Jeong woo young. Really hope bento calls them up. Iran is always going to be a hard match. Anyone going to be in korea and going to go to the matches? I might be in the minority, but I really want Kangin and Jeong Wooyoung to play at the U20 WC instead of warming the bench at the June friendlies. Would you say SK is any closer to fielding “top” defenders in the near future? When comparing w/ Japan, arguably SK’s top rival & peer, one disparity that often stands out is quality of personnel in the back. In fact JP seems to regularly produce guys who can hack it on defense in Europe, but SK not so much. Why is this? There is Kim MJ, and I guess there’s still hope he might be up to that lvl. The fact a guy like him seems to show up so rarely tho is the concern. I honestly don’t know why Korea can’t produce defenders that transfer to Europe. Park Jooho and Kim Jinsu were there for a bit but never really hit the heights at all before transferring back to the K League. I think Japan doesn’t necessarily produce better defenders than Korea per se, but have a distinct advantage with European scouts. I am not sure, but I think European clubs scout more in Japan because Japanese players don’t have military duty to worry about. My thought is that Korean players that don’t already have military exemption have to be can’t-miss prospects to get a shot in Europe. Those types of prospects play attacking positions usually. And then the defenders? By the time they get a military exemption, if they do get one, they are past the age when scouts are looking to sign them. We’ll see if Kim Minjae gets a shot in Europe in a few years but I don’t know of other CB/FB prospects younger than him are getting any interest. Thx for the response. I forget which WC, but I remember when Cannavaro had his own Nike (?) commercial, how he was celebrated as like the world’s best defender. I also remember how surprised I was, cuz young me only paid attn to goals. And now Van dijk for Liverpool, crazy expensive & praised as irreplaceable, maybe POTY. I read an article where a Brit soccer expert visited youth camps in SK, and he noted how all the kids were trying to be strikers; they all wanted the glory, and defense was something you “settled” for. As opposed to Europe, where kids were assigned ideal positions based on how well suited they were for each, and taught to stick w/ them, and that all positions were essential. I’m wondering how much effect this difference in attitude might have. Ooh, that’s a great observation. I bet that certainly does make a difference. We’re working on a interview about youth players and coaching in Korea so we’ll ask about that! I think Dae brings up a great point. On a related note, I would love to read an analysis by the Tavern on which league(s) would be the best suited for Bento’s strategy in developing Korea’s players. It seems that Bento doesn’t have a bias, but that’s probably due to the lack of depth of talent, so the analysis may just speculative, but I would love to hear what the Tavern would have to say. Holy crap. There’s a Jung Woo-young and then there’s Jeong Woo-yeong. 2 more goals against Man City. Son, the legend is growing.